Every year more than a million GRE essays cross the desks of ETS essay raters. These same submissions slide through the subroutines of e-rater, an automated scoring program developed by ETS. With a scoring speed of 800 essays per second, e-rater could evaluate every GRE essay from 2013–2014 (about 1.1 million submissions) in under 25 minutes. In that same time, a human rater will usually score around 10 essays. This feat of education-automation raises certain questions. Do humans still read and score essays? When e-rater and a human score the same essay, do they give the same score? Do they even look at all the same features—from the grammar, vocabulary, and organization to the logic, evidence, and creativity? The answers may surprise you. In 2008, six years after Analytical Writing became part of the GRE, ETS began to use e-rater as a quality control on human scores. Each essay receives a human score and an e-rater score on a scale of 0 to 6, low to high. If these scores differ by less than 0.5, the human score stands. Otherwise, a second human scores the essay, and the two human scores are averaged to get a final score. The e-rater score won’t supplant the human score(s). E-rater simply supplies a “check score”—that is, a score the human rater is checked against. Humans can be biased and inconsistent, resulting in scores that are inaccurate and unfair. E-rater escapes some of the foibles of human faculties. For instance, whereas humans tend to deviate from standard scoring rules over time, e-rater always applies the same scoring algorithm (annual software upgrades aside). If e-rater sets the bar for consistency, then human raters seem to do a decent job of clearing it. The human score and the e-rater score fall within 1-point of each other for about 98% of essays, according to a 2014 report from ETS. Still, that 1-point can be quite significant: a “Strong” essay gets a score just 1-point higher than an “Adequate” one. What about the overall Analytical Writing score? No report (that I’ve read) compares an e-rater-only Analytical Writing score to an all-human one. (For a hypothetical comparison, see this post on why you don’t learn your e-rater scores.) The 2014 report does look at how the score you’d get from one or more humans with e-rater—the “check score” approach—stacks up to the score you’d get from two or more humans without e-rater. The Analytical Writing score comes out the same roughly 98% of the time. Automated essay scoring sounds like a helpful supplement to human essay scoring—even a reasonable substitute for it. So what, if anything, is e-rater missing? Understand the meaning of the text being scored. Make a reasonable judgment about the essay’s overall quality. The primary emphasis in scoring the Analytical Writing section is on your critical thinking and analytical writing skills rather than on grammar and mechanics. During “training,” e-rater analyzes thousands of already-scored GRE essays. For each essay, the software quantifies the use (or misuse) of the above features and measures their correlation to the human-assigned scores. Even though human raters (presumably) look at more than just writing quality, the scores they give can be simulated based on writing quality alone. 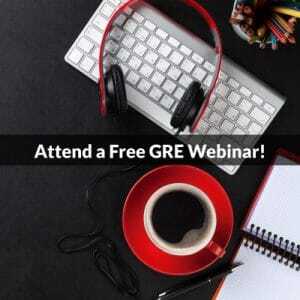 You might wonder why e-rater’s inner-workings matter for GRE prep. After all, e-rater doesn’t assign your scores. But it does approximate them, so having the software score a practice essay could be worthwhile. You can have it evaluate several using ScoreItNow, the practice writing service from ETS. 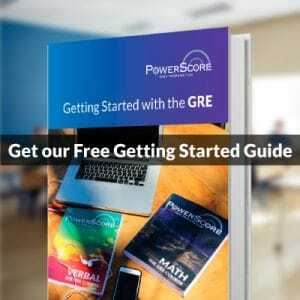 To see what happened when I submitted an essay to ScoreItNow, check out this post: Official GRE Essay Practice: Score 6 vs. Score 5 on the Argument Task.